Organisations can reduce their carbon footprint and also help decrease the number of cars on the road and improve traffic situation. 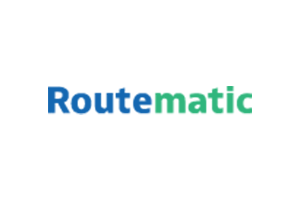 Routematic, the employee transportation solutions provider has introduced a new commutation concept for the corporate staff of a business park in Bangalore. It has come up with a way for employees to share their cabs with fellow commuters from the same locality. Parking space comes at a premium in this city with organisations paying anywhere between Rs 5000 to Rs 10,000 towards parking space in business parks. Such parking spaces only encourage employees to commute to work in their independent vehicles. This adds to the pollution levels and the traffic snarls. Routematic, with its fleet of 200 cabs in Bangalore, will encourage corporates to opt for cab sharing and save the extra expenditure on parking space. If these corporates offer commute services to employees, the traffic condition and the air quality in the city can be improved, since the number of vehicles on the roads will drop drastically. Cab sharing appears to be a more practical idea when it comes to India. A home pickup and drop facility that guarantees comfort and also saves cost will definitely be a blessing for most corporate staff. Routematic is now encouraging companies to club employees travelling from neighbouring places into cabs. It is helping big corporates realise that if a thousand employees opt for cab sharing, the carbon emission can be brought down by four tons, because a cab carrying four passengers means three cars taken off the road. Another advantage of cab sharing is that the bill processing is paperless. This automation makes it convenient to keep records and audit.